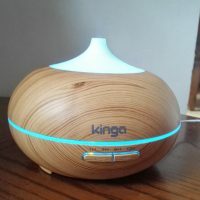 Recently I received the cutest electric aroma diffuser I’ve ever seen and what I really love about it is that it’s made mostly out of natural materials – glass and wood. It’s especially great for those who like to reduce the amount of plastic they use in their homes. 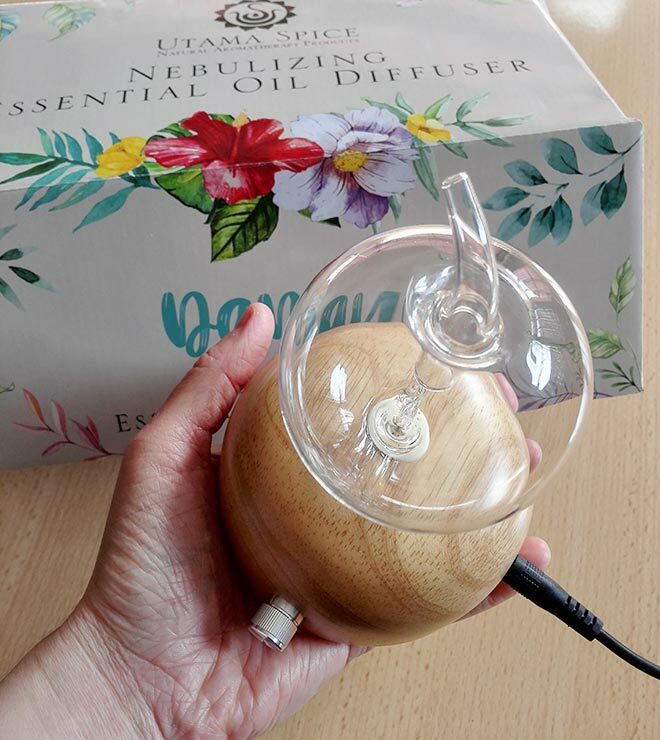 Most of the electric aroma diffusers are made of plastic (although some look like they are made of wood but they are not) so that’s why this little cute diffuser is so special. It’s been sent to me by Utama Spice, a company which focuses on natural aromatherapy products. They are based in Bali but they deliver to the UK as well (with a quick delivery). If you don’t own any essential oils or an electric aroma diffuser yet, it’s never too late to get yourself some. Aromatherapy is great for self-care as it helps you relax and release any negative tensions. Essential oils have been scientifically shown to be particularly helpful in treating stress, mood, sleep, pain, nausea and even memory. It’s just another reason why you shouldn’t ignore something so natural which can greatly improve your wellbeing. Utama Spice is not a new company, they were created in 1989 when Dayu Suci and Melanie Templer saw a need to retain Bali’s amazing herbal knowledge and traditions. 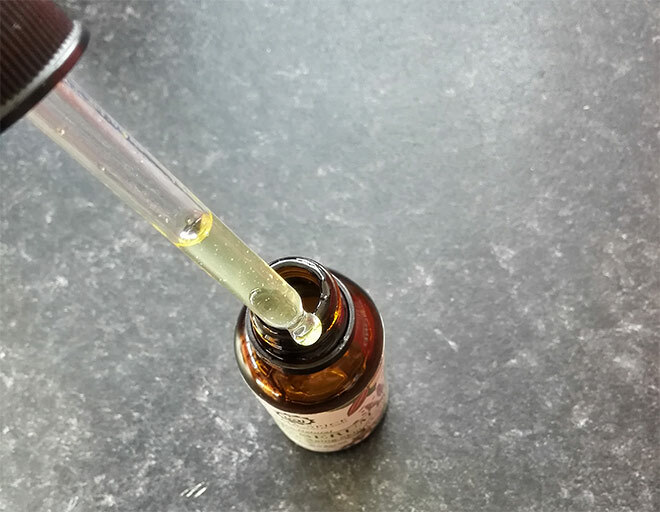 Dayu, with her extensive knowledge of traditional Balinese remedies, and Melanie, with her never ending quest to discover the wonders of the natural world, quickly rediscovered the amazing benefits of essential oils and other natural ingredients. They started making their remedies by hand for their loved ones. They have continued their passion today in the hope of sharing their discoveries with you and your loved ones. I already have an electric aroma diffuser at home but it never harms to have two since there is more than one room in the house, right? Utama Spice diffuser is very different to the one I’ve already had from before (reviewed here). 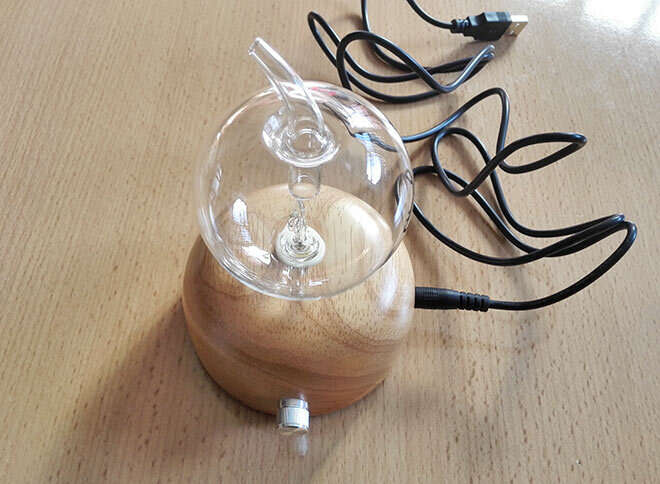 First of all, it’s made of natural materials with a wooden base and a glass diffuser reservoir. 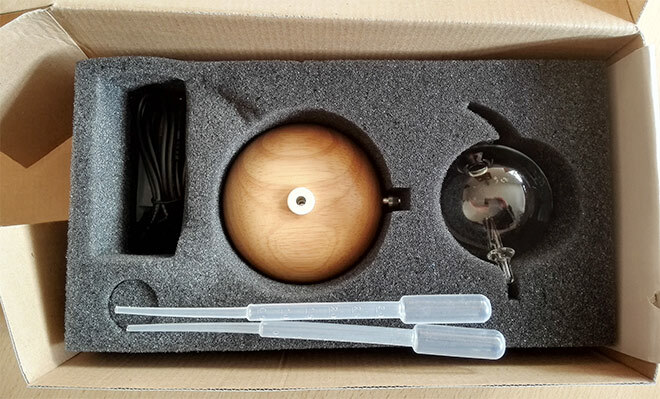 I am not sure whether there is any plastic inside of a wooden base but I know there are some electronics inside which make the diffuser run when plugged into power and switched on. The diffuser comes in a well-protected box and it’s easy to assemble by following the attached instructions. Just be careful with the glass and try not to drop it! (although if you do have an accident, luckily the company can provide you with replacement parts). Once you’ve assembled the diffuser you can connect it to the power by simply plugging it into the USB port of your computer/laptop. The diffuser comes with an American plug but you really don’t need that as you can use USB port easily. I used my phone’s charger which has a USB socket and had no problem with that. There is a small switch button on the diffuser which you use to control the intensity of the output and of course to turn it off and on. There are no other buttons on the diffuser. The diffuser will work for 2 minutes constantly and then pause for 1 minute. After 2 hours it will turn itself off automatically although the LED light will still stay on. But you don’t really need to use it for a few hours. As you only add essential oils to the glass reservoir (no water), the scent that comes out is really strong and your room will be filled up with scent very quickly so you may want to turn it off after only a few minutes of use. I was amazed at how strong the scent is when there is no water involved. Overall, a lovely electric aroma diffuser which can keep you company when you are studying or relaxing at home. You can put it just about anywhere as it’s so small. Apart from the diffuser, I also managed to try a couple of green beauty products from Utama Spice. I tried their 100% natural face serum which is suitable for dry and ageing skin. This serum is great for my skin now that the weather is still cold. It’s definitely been helping me to control the dryness I get in winter. I’ve been using it before going to bed and on top of my moisturiser to keep the moisture in when I go for winter walks. I certainly haven’t noticed any dryness lately and I believe that’s all due to this serum. My skin would feel nice and soft once the serum has been applied. The good thing about it is that it’s quick to absorb so you can easily use makeup on top. Just to mention that this serum does contain some essential oils which sensitive skins may not tolerate. You can check the full list of ingredients here. The serum is really affordable at $11.37 but still of very good quality. 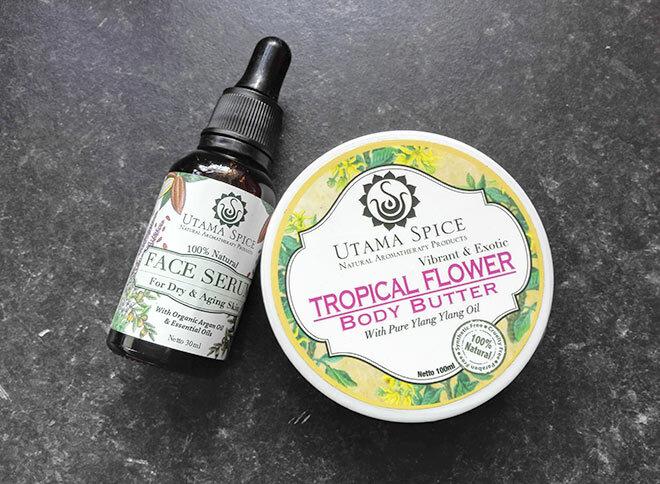 The other product from Utama Spice that I tried very quickly was their Tropical Flower Body Butter which has a pretty strong, distinctive scent. Yes, it’s quite exotic with a strong scent of Ylang Ylang (I know not everybody likes it but it’s very sensual and mood lifting). This body butter applies easily and doesn’t take long to absorb. It costs only $6.21 so again, another affordable natural product from Utama Spice. 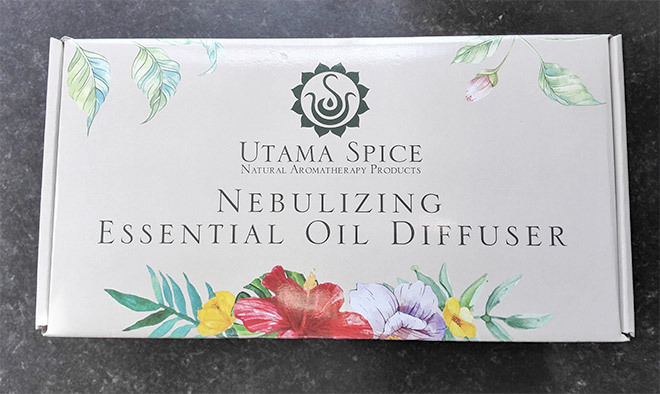 If you are looking to improve your wellbeing and introduce some aromatherapy products, you will not go wrong with Utama Spice products. They are of high quality (without any doubt) and really affordable. So it is worth making an order all the way from Bali and don’t worry, you won’t have to wait for products long, as the company uses express delivery so it will only be a few days. Have you ever heard of Utama Spice and what do you think of their products?